The cast of "Be More Chill"
The Squip is coming and so is Be More Chill! The fan-favorite Joe Iconis musical is debuting on Broadway at the Lyceum Theater, and the cast gathered together at Pearl Studios on January 22 ahead of the Great White Way bow to meet the press. 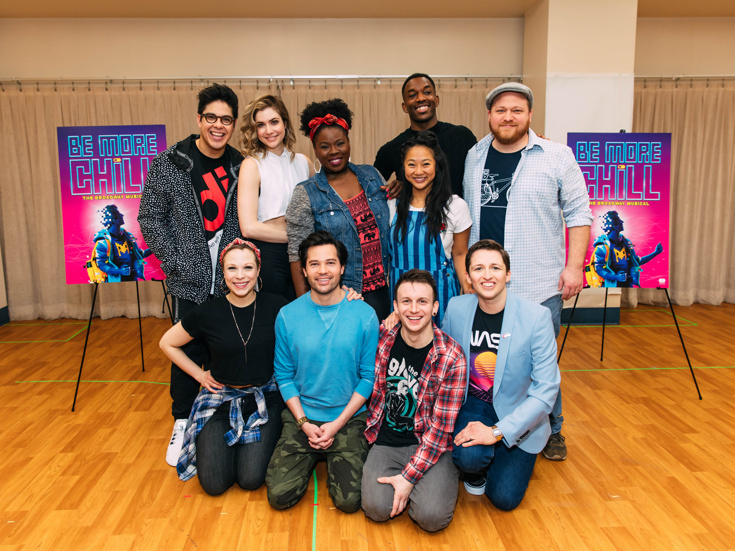 Led by Will Roland and George Salazar, the Be More Chill cast performed "More Than Survive," "I Love Play Rehearsal" and the popular "Michael in the Bathroom." 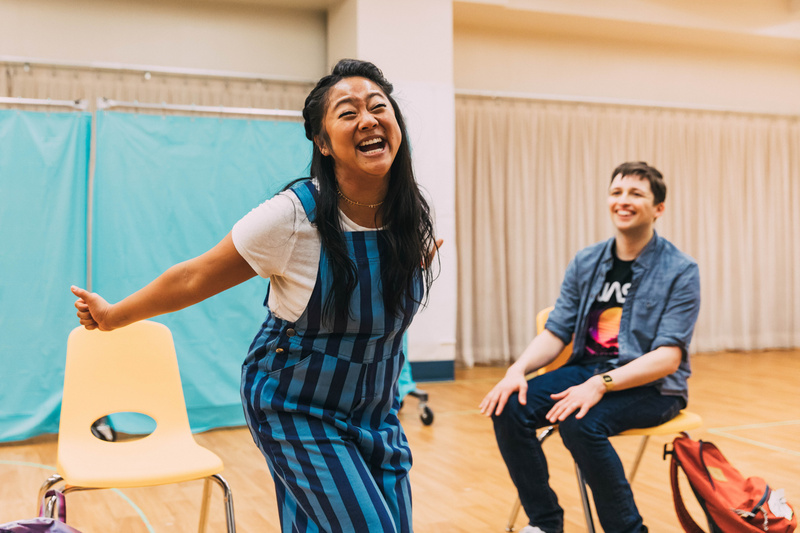 Check out the photos of the cast in rehearsal, and be sure to check out the show when it begins previews on February 13. We love play rehearsal! 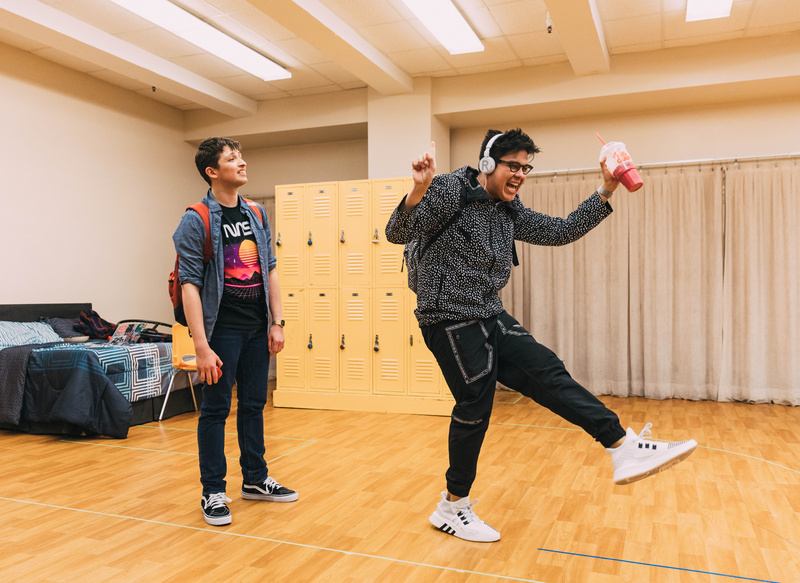 Will Roland and George Salazar hit the rehearsal room for Broadway's Be More Chill. 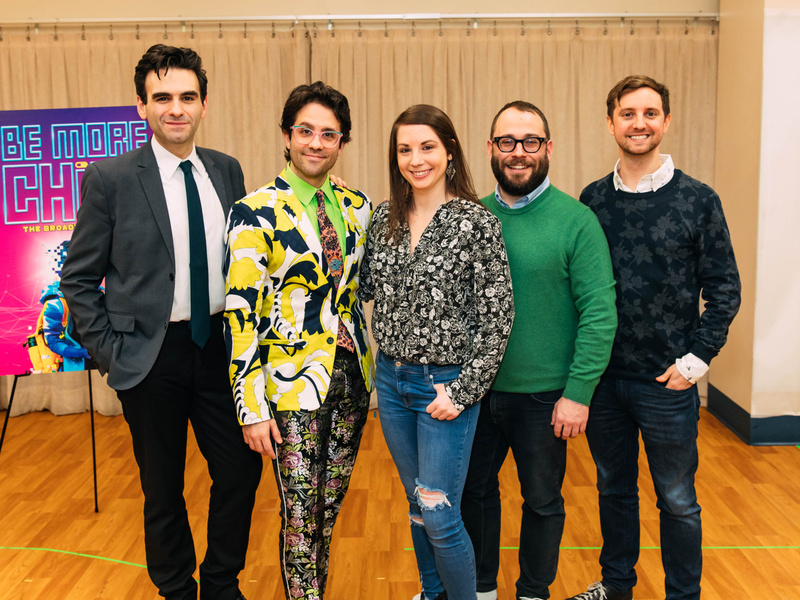 Be More Chill's songwriter Joe Iconis, choreographer Chase Brock, music director Emily Marshall, director Stephen Brackett and scribe Joe Tracz are ready for Broadway!